Mr. Barriento is a lifelong resident of New Jersey. He grew up in Fair Lawn, New Jersey where he participated in multiple recreational sport programs including basketball, baseball, football. 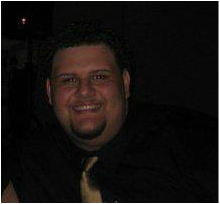 Mr. Barriento graduated from William Paterson University with a double Bachelor’s Degree in History and Secondary Education. Mr. Barriento’s vast teaching experience spans from grades six through twelve. He has experience working with urban and suburban youth. Throughout his career he has been a proponent of STEAM strategies to integrate cross-curricular learning in the classroom. In 2016 Mr. Barriento completed his M.Ed. in Educational Leadership also from William Paterson University where he graduated with honors. At Belleville High School along with conducting his daily Dean of Students duties Mr. Barriento is also a member of our teaching faculty. He is currently instructing two courses. United States History Two and Advance Placement United States History. In addition, he is serving as the Program Supervisor for the B.U.C.S. Program.